Wright Christian Academy is a 501(c)3 organization. All gifts are tax deductible for Federal income tax purposes. With that in mind, there are a number of different opportunities for making a gift to Wright Christian Academy, including cash gifts, pledges, in-kind contributions, participation in the Opportunity Scholarship Fund, the fall fundraiser and other options. 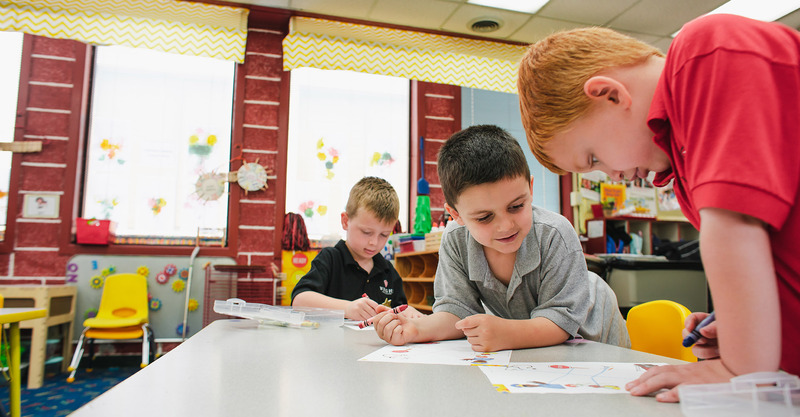 Each year, the WCA Annual Fund raises unrestricted funds supporting Wright Christian Academy. Donations from parents, alumni, and friends allow the funding of programs and projects beyond what the basic budget can accommodate. These contributions enable Wright Christian Academy to recruit and retain talented faculty, provide scholarships for deserving students, enhance academic programs, and keep the facilities up to date. In 2011, the state legislature authorized generous tax credits for donors to Scholarship Granting Organizations (SGOs), like the Opportunity Scholarship Fund (OSF). Tax credits directly reduce the state taxes you pay dramatically. Every fall we do one school-wide fundraiser and it has become a tradition that we use Bowl-A-Rama as the avenue to accomplish this. The fundraiser lasts the month of September and ends with the students earning a variety of incentives depending on how much they earn, most notably a day of Bowling! Many donors choose to either write checks made payable to Wright Christian Academy or use their credit cards (VISA, MasterCard, American Express and Discover) via our web donation link. Gifts of cash are fully deductible for federal income tax purposes. Gifts in honor of a deceased individual or loved one is an especially meaningful way to contribute to Wright Christian Academy. We will inform the family that a memorial or honorary gift has been made.